Rutland is a city located within Vermont and is the county seat of Rutland County. Rutland had a total population of more than 16,000 people as of the most recent census and it is the third largest city in the entire state, with only Burlington and South Burlington ranking higher. Rutland’s downtown area is on the National Register of Historic Places, and Rutland is a conveniently located city that is approximately 65 miles north of the state line in Massachusetts. As of the most recent census, 13.9 percent of the households in Rutland were made up of seniors aged 65 and over. 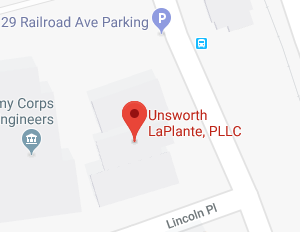 The senior population has different needs than younger residents of Vermont, and Unsworth LaPlante, PLLC is here to provide assistance to clients of all ages who want to make sure they are prepared for what the aging process means for them. 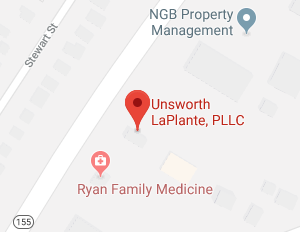 Unsworth LaPlante, PLLC helps with retirement planning, and with making plans to address the issues that can arise during retirement such as a need for nursing home care or incapacity due to illness or injury. We offer a full array of elder law services, and we can provide customized support tailored to your needs. You should give us a call to get help with making your plans for the future, and you can also check out the elder law resources that our legal team has compiled below to assist you in getting started with the process of thinking about your future. Seniors need to try to stay connected to the community to maintain their social connections, have the highest possible quality of life, and prolong the time when they can remain independent. Many seniors choose to take part in activities at senior centers to accomplish these goals. Seniors in the Rutland area can visit Young at Heart Senior Center to benefit from the many programs and services that this center makes available to residents of Rutland. There are meal services and there are programs and events that are offered through this center. Seniors can also get assistance finding transportation help, among other services and supports offered. Seniors will hopefully be able to remain active and enjoy a high quality of life through much of their retirement. Sometimes, however, there comes a time when seniors need long-term care at home or need to move into a nursing home. If and when this happens, seniors need to find the right nursing home and make sure they can pay for it. You should carefully review the reputation, licensing status, and history of citations for any nursing home that you are considering moving into as a senior to reduce the chances of abuse, neglect or other problems. To find out more about nursing home facilities in Rutland, you can visit Caring.com’s website where there are reviews of facilities in and near the city. Because nursing home care is very expensive, it is also important to make a plan to pay for the care that you require. Medicare does not cover the costs of nursing home care but Medicaid does pay for care if you qualify. Medicaid is a means-tested program, and you can find out about eligibility and coverage by visiting the Department of Vermont Health Access. If you do not want to spend all of your wealth in order to get Medicaid to cover you and pay for nursing home care, you can work with Unsworth LaPlante, PLLC to create a Medicaid plan to protect your assets while still getting covered. During the aging process, the risk that you will become incapacitated increases. Incapacity can occur if you experience a serious medical condition, such as having a stroke or developing dementia. It can also occur as a result of an accident or injury. When you become incapacitated, decisions must be made regarding the kinds of care you’ll receive or decline. Someone may also need to be put in charge of managing your wealth and making other decisions about your life, such as where you will live. You can make advanced plans to specify what kinds of care you want and who will make decisions on your behalf. There are a number of resources available to help you. You can find out general information about advanced directives and incapacity planning from the Vermont Department of Health. You can also find a sample Advanced Directive form on the website of the Vermont Ethics Network. Finally, if you have created an advanced directive, you can register it with the Vermont Advance Directive Registry electronic database. While you can learn about advanced directives from these online sources, you should consult with Unsworth LaPlante, PLLC to get help creating your advanced directive so you can make sure that you have the right plans in place to address some of the most personal and important questions about your care that could arise during the course of your lifetime. A Rutland elder law attorney can provide you with help and support in making your plans for the future as you get older. We assist you in taking steps to ensure your retirement assets are safe and secure so you will have the financial security to enjoy your retirement years. We also help you to plan ahead to cope with the aging process and to be prepared if things go wrong and you get sick or hurt. To find out more about how our compassionate and knowledgeable legal team can help you, join us for a free seminar. If you are ready to begin making your personalized plans for your future, you can give us a call at (802) 879-7133 or contact us online contact-us today to get help from an attorney who will create a personalized plan for you. Just give us a call to find out how we can help.